Although Vitamin C is commonly used to treat colds, this single most popular vitamin has other numerous health benefits as well. Lee, one of our fabulous skin experts, shares that one of her favorite beauty secrets is achieving healthy, glowing skin from the power of Vitamin C.
“Vitamin C is an antioxidant that slows the rate of free-radical damage – free radicals are unstable molecules that damage collagen and cause skin dryness, fine lines and wrinkles,” according to www.howstuffworks.com. Vitamin C plays a crucial role in collagen production that not only helps give your skin firmness and strength but also makes it convenient to heal different types of wounds. When taken orally, Vitamin C aids in faster and better healing for cuts, broken bones, burns, and recovery from surgical procedures. 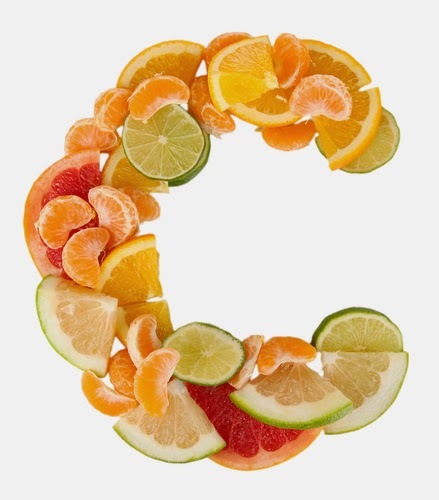 Applying Vitamin C topically can help shield your skin from free radical damage once exposed to ultraviolet (UV) rays. It can also reduce sunburn and prevent the outcome of long-term sun exposure, which can develop into skin cancer. With that said, it’s not safe to apply Vitamin C and then bask in the sun, it mainly ensures that your skin is receiving enough antioxidants and helps keep your skin healthy and soft. Bodies don’t naturally store Vitamin C and an abundant amount is flushed out through your kidneys, so your supply needs to be replenished every day. Aside from multivitamins or vitamin C supplements, there are a wide variety of foods that will help get your daily dose such as citrus fruits, bell peppers, cauliflower, broccoli, spinach, and tomatoes. In order to enhance collagen production and fight free radicals, apply topical vitamin C to your skin. “Look for a facial cleanser or moisturizer that contains the L-ascorbic acid form of vitamin C to ensure the vitamin penetrates your skin layers,” according to www.howstuffworks.com.